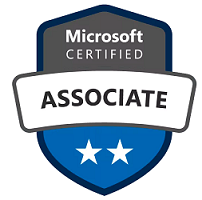 Microsoft Certified: Azure Data Engineer Associate certification contain two certifications namely DP-200 & DP-201 respectively. Candidates for this exam are Azure data engineers who are responsible for data related tasks that include ingesting, egressing, and transforming data from multiple sources using various services and tools. The Azure data engineer collaborates with business stakeholders to identify and meet data requirements while designing and implementing the management, monitoring, security, and privacy of data using the full stack of Azure services to satisfy business needs. Think of a building a career in designing and implementing data related solutions and being part of hottest careers of 21st century. Microsoft Certified: Azure Data Engineer Associate certification contain two certifications namely DP-200 & DP-201 respectively. Candidates for this exam are Azure data engineers who are responsible for data related tasks that include ingesting, egressing, and transforming data from multiple sources using various services and tools. The Azure data engineer collaborates with business stakeholders to identify and meet data requirements while designing and implementing the management, monitoring, security, and privacy of data using the full stack of Azure services to satisfy business needs. Why you need to attend this course?